The energy crisis of the first years of independence of Armenia had had quite negative impact on the environment and particularly the forests. At that time both rural and urban population predominantly used to burn wood from forests. 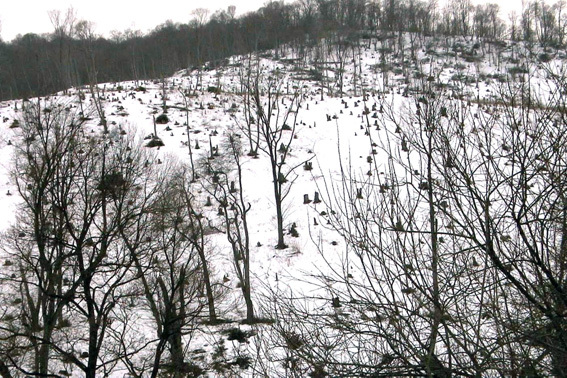 Although at the turn of the century and after that the relaunch of natural gas supply curb the use of firewood from forests the total area under the forests shrunk significantly currently reaching 8-9% of the country’s territory (http://rainforests.mongabay.com/deforestation/archive/Armenia.htm). Reforestation – planting trees on a large scale and ensuring their survival is one of the main direction to solve the abovementioned problem. Therefore, Shen took responsibility to fill that gap within its humble capabilities. Particularlyt in 2006 Shen established a nursery of forest and ornamental trees near Jraber community, Kotayk Marz, on 3 ha area. The produced saplings are given for free to state forestry agencies, environmental NGOs, and rural communities for reforestation purposes. In 2008 on 8 ha area Hrazdan branch of Hayantar State Company planted oak forest using the saplings from our nursery. With the support of the local NGOs and financial support of UN GEF project over 7 ha of forest was planted in Chambarak with oak, poplar, ahs and other varieties. SInce 2010 Shen donates forest and ornamental trees from its nursery to villages in Kotayk, Aragatsotn and Gegharkunik marzes. Starting form 2014 Shen colaborates with "Integrated biodiversity management, South Caucasus" regional project of GIZ implemneted by ECO Consult (Germany). The project envisages to control soil erosion through planting new forests in Aragatsotn and Shirak marzes. So far a small nuresry was established in Aragatsotn Marz, totally almost 20 ha of forests were planted and fenced. Another 60 ha was prepared and fenced for further forestation.